HomeMarketing HOW IMAGE OPTIMIZATION IMPROVE SEO & EXPERIENCE FOR WEBSITES? A picture is better than a thousand words, so why not make it worth a look? In this visual world, the importance of image optimization cannot be ignored. Images make your website more appealing and give an overall tempting look. In fact, today more than half of the sites have pictures on their every web page. But, images in websites need optimization. The proper optimization is a need, without which you are wasting your valuable SEO asset, time and sometimes money. Additionally, the more the file size is, the longer it will take your page to load. This will lead to the higher bounce rate on a website. 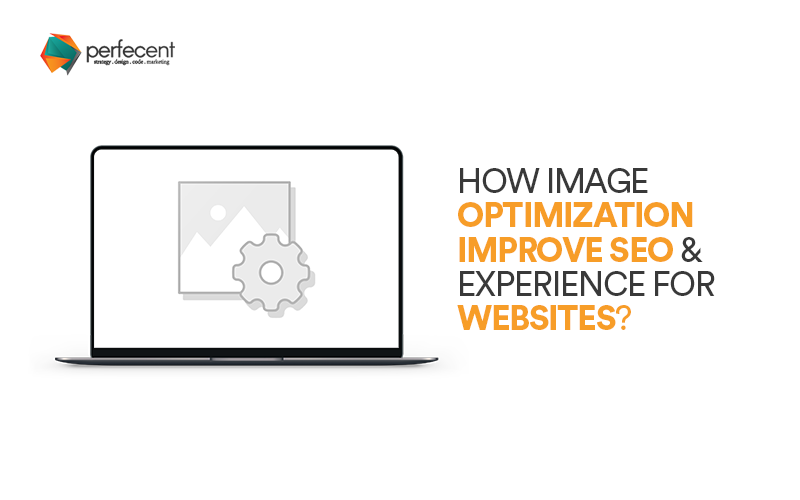 Doing proper optimization on every image one can have many benefits – it will provide better user experience, make your site speedier, and have many other ranking chances. So how you make it happen? For the better user experience, always use genuine, real images on the website. It is easy, and you can take high-quality pictures using a quality camera at your house or company. Using high-quality images on a website is an excellent way to convince your customers about your product, company or brand, as many people do not like stock photos. On the other hand, original images allow you to stand out in the search engines – to show your brand’s personality and fascinate more people to your website. If you have downloaded images from somewhere, you can also get benefit with them. Image editing tools like Canva help you add charisma, text, and exclusivity to your photos and so enhance its overall persona. There are many stock images which have been enhanced by using these tools. The most exciting thing is the use of Canva gives you a chance to add a personal message. In fact, you can create a compelling infographic from a template using these tools. Make sure that size of your image should not be much more significant than your need. With software like Adobe Photoshop, you can shrink the file size without affected its quality for better user experience. Adding bulky images on your website can adversely affect your ranking in SERPs and image hunts. One of the best image optimization practice is adding descriptive captions to your images. The caption explains what you perceive in the image. While the words in your article may not be read, the chances are high that the text under your image will be read. Captions are beneficial as it offers more context for the search engines to comprehend. Images with descriptive caption are more likely get readership than text. The wise use of appropriate alt tags to the pictures on your site can allow you achieve better ranking in the search engines by linking appropriate keywords with images. For SEO worth, the alt text can act as the newscaster text of an internal link when the image links to an alternative web page. Creating an image sitemap gives search engines more ability to find out the images on your website. This will increase the chance that your pictures will be displayed higher in Image Search results. By doing so, you can also help Google to further index your images. An XML sitemap can assist you in achieving that. JPEGs are the best choice for website images. Reduce file size to assure your website load quickly. Enhance stock images with photo-editing tools. Use keywords wisely, not more than three in alt text, relevant to the pictures. Add the image which is relative to the page. Create OG and Twitter Cards to maximizing social shares.